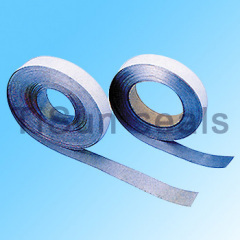 Pure Expanded PTFE Joint Sealant Tape with Adhesive back is an unique cord form gasket for use as a jointing on all types of flanges and can be used with almost all fluids for its excellent corrosion resistance, high pressure, resistance, convenient in using, soft and stretched structure, it is an ideal sealing material for enamel, glass, rough and special shaped sealing surface. We are professional various kinds of mechanical seals. such as Pump seal, Industrial pump seals, Auto Cooling pump seals,Silicon Carbide Seal Ring, Tungsten Carbide Seal Ring, Alumina Ceramic Seal Ring, O Ring, packing and gasket, etc. Manufacturer and factory in China.We can produce various kinds of mechanical seals. such as Pump seal, Industrial pump seals, Auto Cooling pump seals,Silicon Carbide Seal Ring, Tungsten Carbide Seal Ring, Alumina Ceramic Seal Ring, O Ring, packing and gasket, etc ,if wanted, please contact us right now!